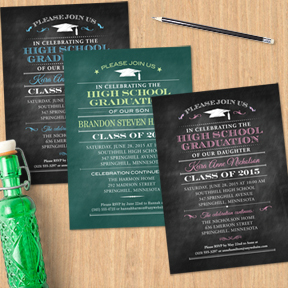 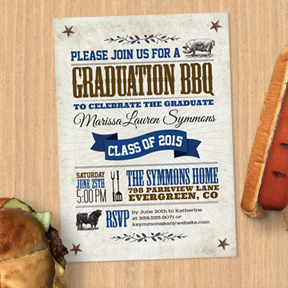 Send the graduate out into the world with invitations and announcements that reflect how they will celebrate or where they’re going. 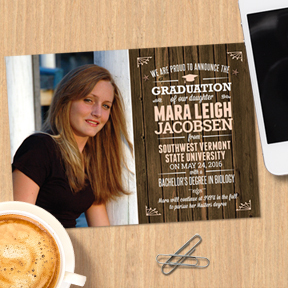 Our photo announcements pull double-duty to show off the grad and convey commencement information. 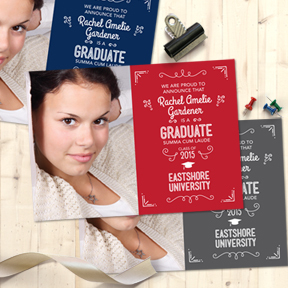 We also have cupcake toppers, cards and other paper goods to help the graduate celebrate their accomplishment.